Templates for Pages – DesiGN 6.0.1 – Over 2,800 templates for Pages. The modern and polished Templates for Pages – DesiGN supplies a collection of over 4,000 easy-to-use templates for creating business and personal content with Apple’s Pages. It’s the biggest templates pack for Pages on the App Store. We provide regular monthly updates with new templates. Templates for Pages – DesiGN set gives a large selection of templates from books and invitations to posters and brochures. 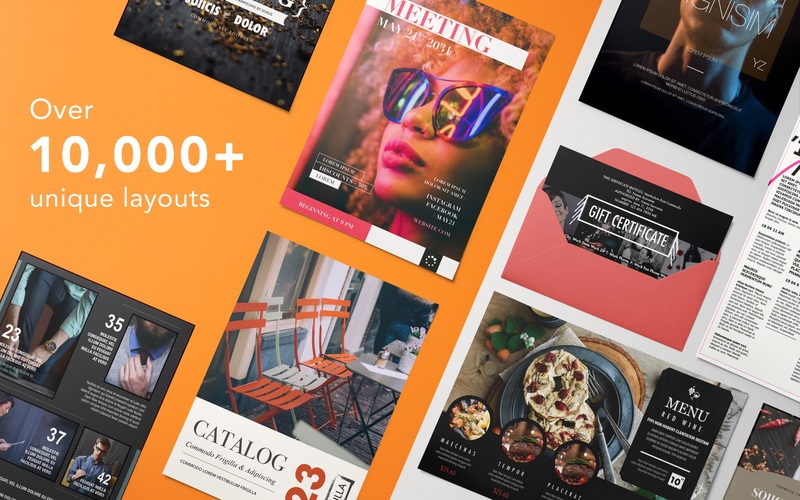 Some templates consist of up to 10 different pages, so the package provides a variety of around 10,000 layouts to meet your most diverse needs. Each and every layout – from the quintessential elegance of text-only pages to the bright mix of pictures and slogans in the poster and brochure templates – features prime design quality, set apart by attention to fine points, high usability, and abundant creativity. All templates are available in the popular A4 (210 x 297 mm) and US Letter (8½ x 11 in.) sizes, except for non-standard size documents such as landscape brochures (DL Envelope format – 110 x 220 mm / 4¼ x 8¾ in.). Nearly all objects in Templates for Pages – DesiGN can be effortlessly recolored, moved or removed. Type or paste your own text, add or remove text boxes and change the font if you wish. Replace stock images with your own photos or pictures. Unleash your imagination! * Templates for Pages – DesiGN requires the latest version of Pages. Next story myTracks 3.4.1 – GPS tracks manager; Google maps photo linker. Previous story Creo Pro 2.0 – Combine Design and Development processes. Bluetail 2.3 – Easy-to-use vector drawing application. Templates for MS Word by GN 3.9.1 – Add style and class to your MS Word docs.